There was once a time when I thought the idea of local food and artisanal food products just didn’t apply to where I lived. Born and raised in a place where strip malls, chain restaurants and movie theaters get a lot of attention, I thought you had to travel to discover interesting food trends, and that other people were lucky because they seemed to be blessed with an abundance of fascinating food and agriculture right in their backyard. Then, I opened my eyes, and I saw what was happening in my own backyard. Through exploration and the stories of “Culinary Types,” I talked to people and I tasted. I discovered historic farmland, community sponsored agriculture, heritage chickens, a proliferation of farmers markets, goat cheese, craft vodka, pioneering chefs, fresh seafood, and some amazing artisanal bread right in Nassau and Western Suffolk County. 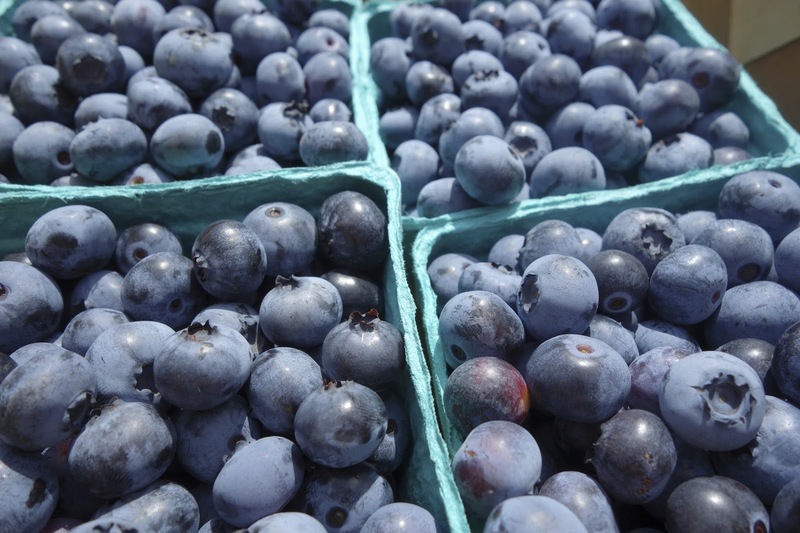 Why travel, when the eats are pretty darn good right here at home? That’s why I’m thrilled that the newest member of the Edible Communities, Edible Long Island has arrived with its first digital edition, and I’m a contributor helping to tell the story of how Long Island eats. Long Island native Betsy Davidson is the Editor of Edible Long Island and has gathered a team of local writers and photographers who are passionate about the food of central Long Island. 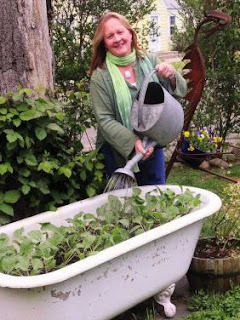 Betsy is a writer and organic gardener who lives in Huntington. Part of the fun is exploring a food culture that has previously gotten far less attention than the Brooklyn food scene or the farms and vineyards of Long Island’s East End. You can read the first digital edition of Edible Long Island by clicking here. The issue is celebration of summer, and you’ll find two stories penned by me. One is a profile of The Shack (page 50) in Centerport, a venerable “joint” on the North Shore that has been serving up clams and chaos for over 30 years. I’ve also authored a piece on how the small business owners of the restaurants, fish markets and bars on Freeport’s Nautical Mile are fighting to come back after the destruction of Hurricane Sandy (pages 16 and 17). Photographer Doug Wynn and I made several visits to the Nautical Mile following the storm to track their progress and chronicle their stories. A print edition of Edible Long Island will launch in September. 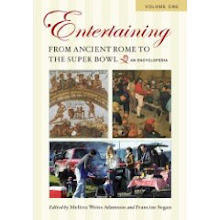 I hope you enjoy the stories. I’m proud to be a part of the team serving up our hometown feast. 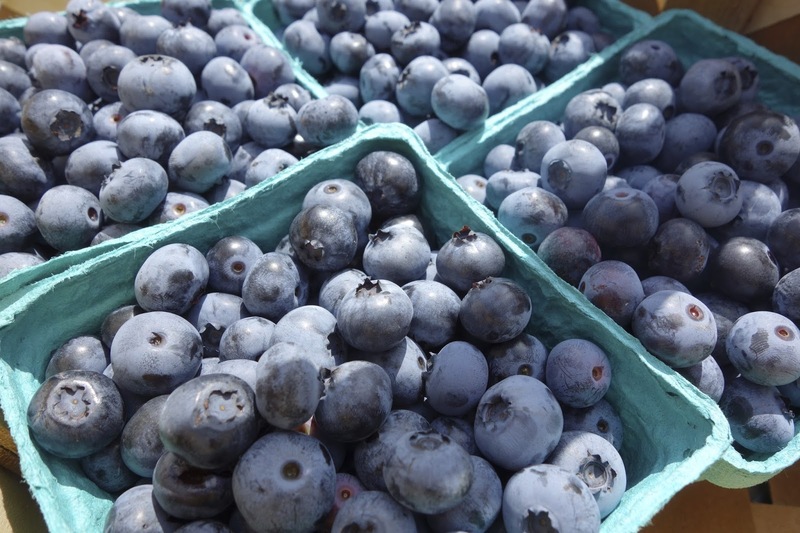 No, this was not a marathon performance of “Blueberry Hill” but a 12-hour farm-to-kitchen event. 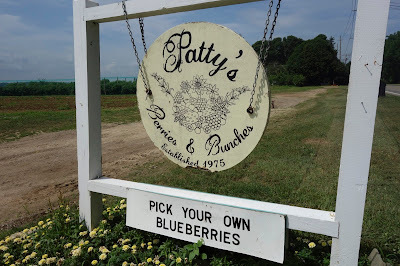 The blueberry patch is almost deserted, save for a young family with two children who have embraced the adventure completely. 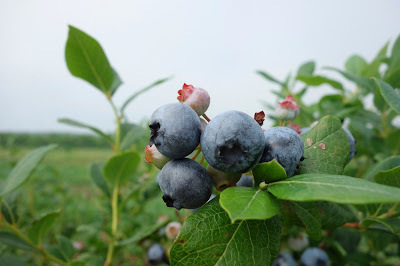 Young Evan hollers, “Dad, I found a BIG one,” or “I picked a WINNER!” His father must sternly caution Evan not to run, for fear of spilling his prized berries on the ground. Beyond Evan’s enthusiastic shouts, there is nothing but the sound of a warm breeze, a passing automobile and the buzz of a few bees. I get to work, and in due time, I’ve filled four containers. 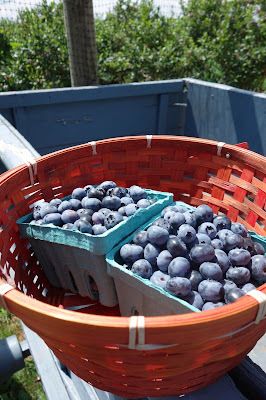 The gentle rhythm of picking is so pleasing, that I go back and purchase two more containers to fill. 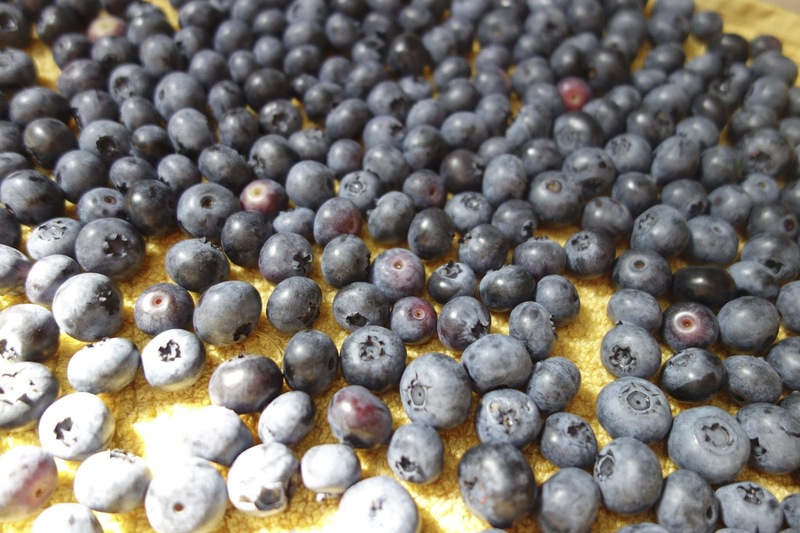 One can never have too many blueberries for baking. 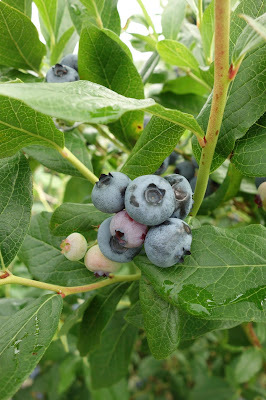 The blueberries are plump and sweet. Some are an inky blue-black hue. Two hours later, I’m back in my car and heading for home. 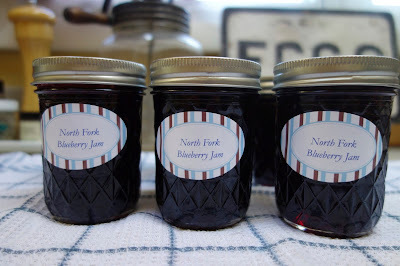 Returning to the kitchen, the jam session begins. I think my fascination with blueberries likely began with family camping trips to Acadia National Park in Maine. 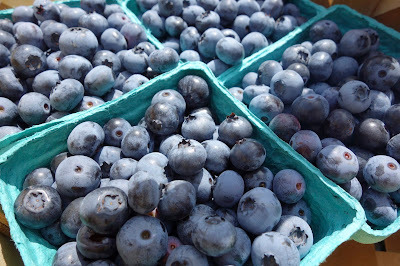 We would pick wild blueberries on the mountain trails and sprinkle them on our cereal in the morning. 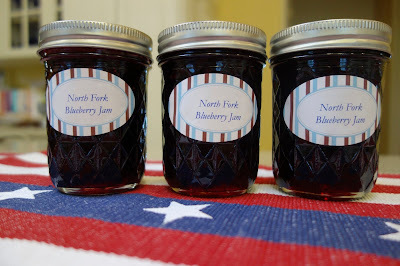 Cooking up a batch of jam is one way to preserve that summertime flavor, and I’m determined to keep my new home preserving skills in good working order. 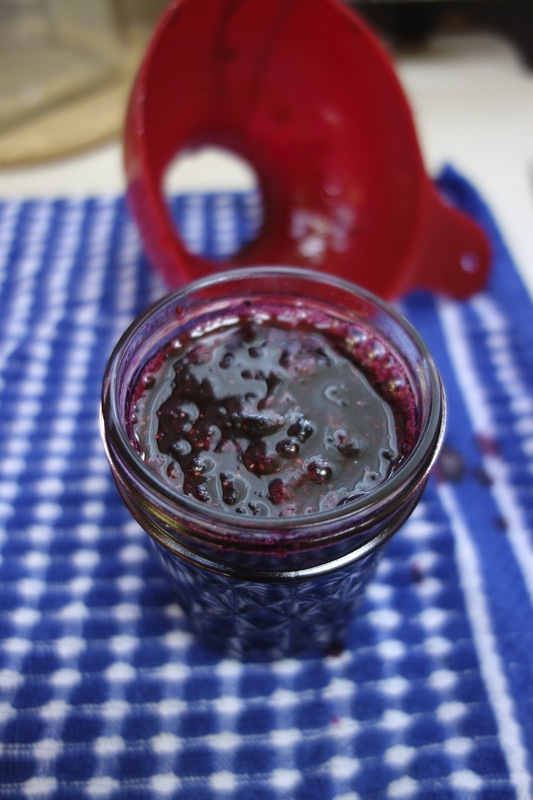 The recipe for blueberry jam is easier than blueberry pie, and takes about 10 minutes to prepare. Several options for recipes can be accessed here. 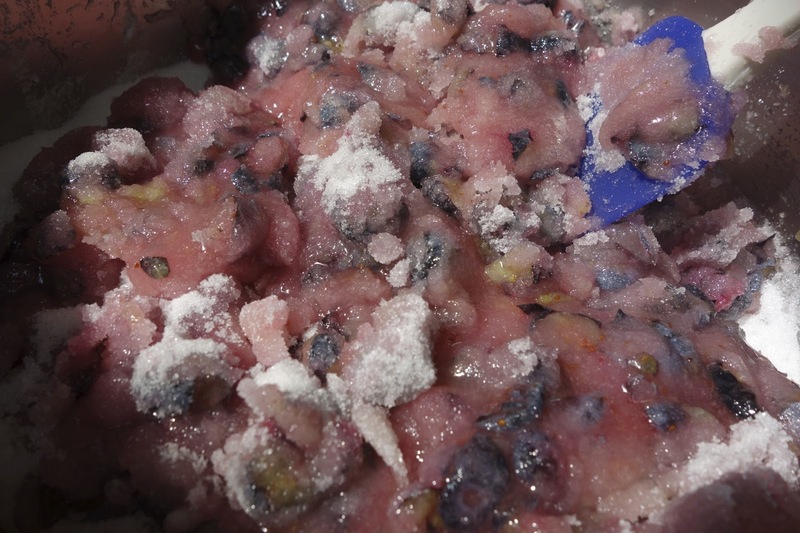 The ingredients are simply blueberries, lemon juice, liquid pectin and sugar – lots of it! 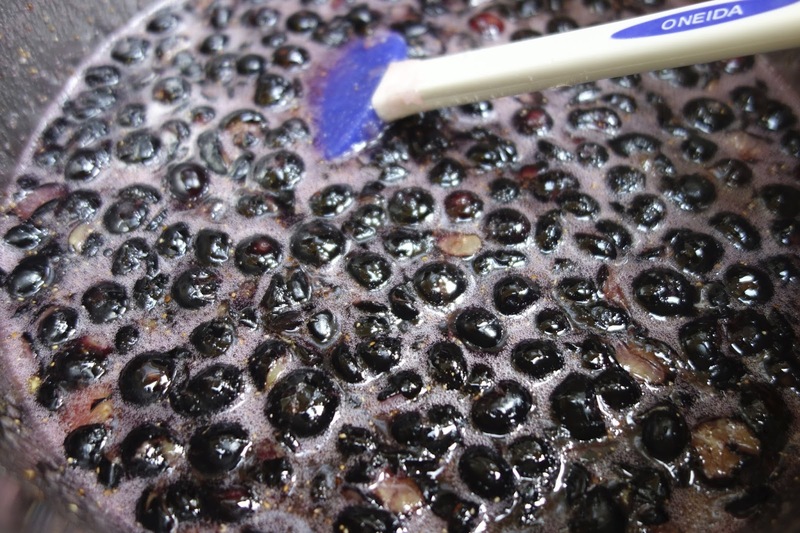 The first action is to clean and crush the blueberries to start to release the juices. 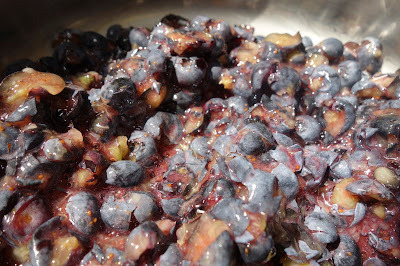 It is a little painful to squash blueberries that just hours before, one selected and plucked so carefully, but that rich purple juice is immediately evident. Then comes the addition of the sugar – seven cups! As my friend Lydia points out as I keep her abreast of the project online, that’s just about a cup of sugar per jar of jam! Well, no one said jam was diet food. 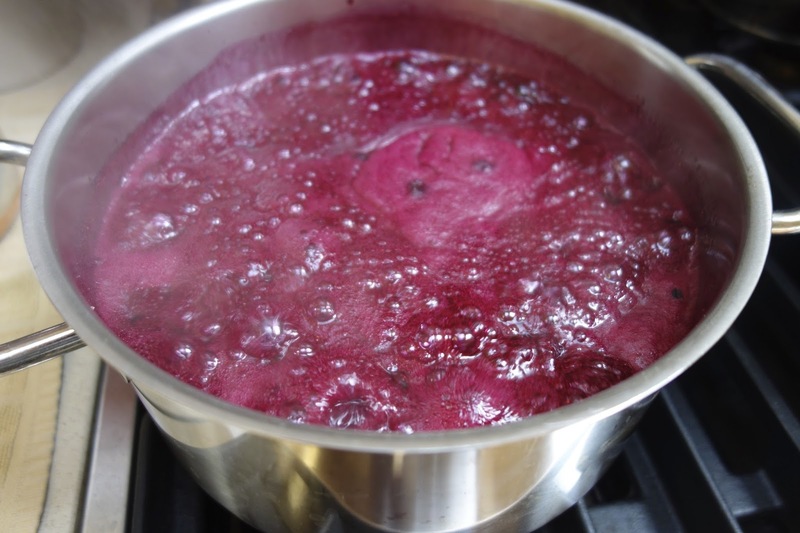 With the addition of lemon juice, the mixture is heated until it begins to boil. 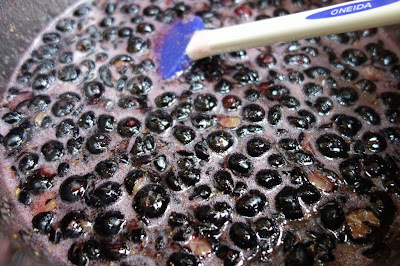 It looks like an exotic vat of bubbling violet soup cooked up by Oompa-Loompas. Here, liquid pectin is added to thicken the jam and make it set. There is a learning curve. 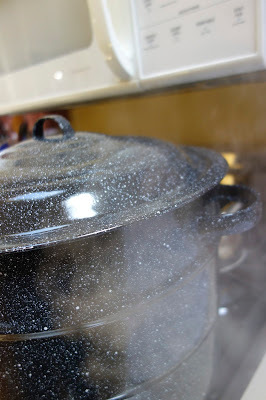 The recipe suggests that after boiling for a minute, you take the mixture off the heat and skim the foam off the top. Here I find that I’m actually skimming off a lot of tasty blueberry skins in the process that would add chunkiness to the jam. I’ll have to work on my skimming technique. Most of the time invested in home preserving goes to preparing the jars and the cleanup. 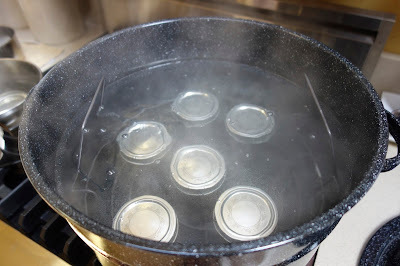 Filling the hot jars with hot jam is quickly done, and the covered jars go into a boiling water bath. A gentle steam swirls through the kitchen, I’ve got iTunes playing and I’m jamming! 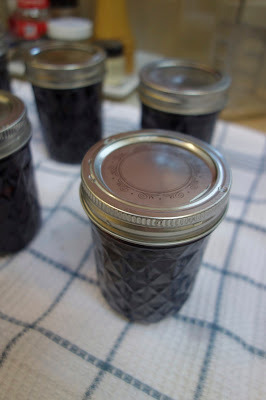 After ten minutes, the jars are removed to cool. 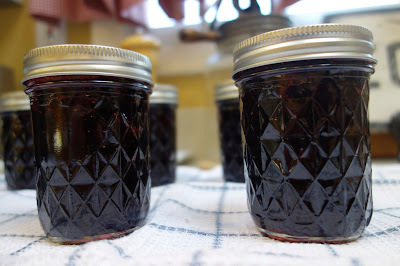 Within minutes, I hear a sharp popping, as the vacuum seal takes effect on each jar. The remaining blueberries are frozen, because I can’t let the summer pass without baking my favorite lemon blueberry Bundt cake. When the jars are completely cool, all that’s needed is a finishing touch – a specially designed label commemorating a dreamy summer day gathering and preserving the best of blueberries grown on Long Island’s North Fork. Sure, artisanal ice cream is all the rage, and I would never pass up a scoop of Brown Butter Makers Mark Bourbon Ice Cream. But, in the end, my heart belongs to Carvel. Vanilla. In a coronet sugar cone. It’s hopelessly suburban, and about as “vanilla” as you can possibly get, but something about soft swirl ice cream just makes me swoon. Um, that would be CARVEL, please – home of vanilla, chocolate and pistachio cones, Strawberry Bonnets, Flying Saucers and the Fudgie the Whale ice cream cake. I don’t think we ever tasted Fudgie the Whale, (for Father’s Day and a Whale of a Dad) but the name was legendary. The roadside Carvel store was the local ice cream parlor of my youth. In that Mad Men era of booming commercialized food products, it was actually the McDonalds of ice cream. Carvel stores dotted Long Island. While the name lives on in commercial ice cream products available in grocery stores, there are actually very few stand-alone stores still around. Sadly, our original family Carvel on Broadway eventually went out of business and the building became a barber shop. I still drive by and find myself craving a cone. A trip to Carvel was a special family treat. My little brother, who’s no longer little, still believes that Memorial Day marks the start of Carvel season. After dinner, we’d pile in the station wagon and head for the store. 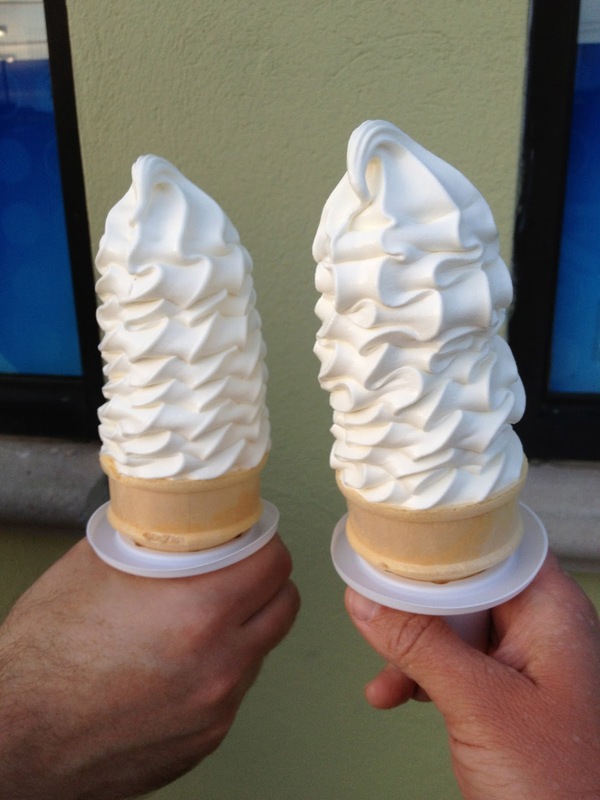 We’d order our cones at the counter and sometimes sit in the car, or stand in the parking lot and lick them silly. If you really wanted to splurge, you’d get a cone with sprinkles (chocolate or multi-colored) but somehow those sprinkles messed up the perfect spin of swirls that graduated to that jaunty spit curl of ice cream at the top of the peak. 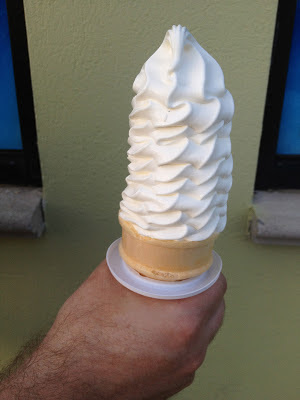 A Carvel vanilla cone was that perfect balance of slick, chilly refreshment and luxurious creamy goodness, with just a touch of a pleasing lactose coma when the experience was done. Perhaps it’s no surprise that when I bought my own home, there happened to be a Carvel store located less than a mile away. This holiday weekend, I’ll be celebrating with a cold one!